I always enjoy reflecting back on the past year and remembering all the great moments of the year. One of the highlights of my year happens to be coming here to the blog and sharing our simple way of life with all of you. I want to thank you for being a part of all of this and making it so special for me, your visits and your friendship really touch my heart. The recipes we are sharing today are YOUR FAVORITES for 2014 and I loved making every one of them and sharing them with you. Thank you so much for stopping by today and for your support throughout the years. Have a very safe New Years and hope to see back at The Cottage real soon! Happy New Year, Helen! All of these are my favorites. Chicken Spaghetti would be #1 on my list. When I saw the title I knew Chicken Spaghetti would be there and the Picnic Cake. Ooooh, that Southwest Skillet Dip looks delish, I'll be trying that in the New Year. Happy New Year to you and yours, Miz Helen. Thanks for the great linky party week after week. All your recipes are winners, Miz Helen! Happy New Year blessings to you and Leonard. These recipes are simply delicious! I think they are some of the best I've seen. I see so much goodness here! The southwest skillet dip I think will need to be made soon. Thanks for sharing with us on Weekend Bites Miz Helen! These all look amazing! Thank you so much for linking up at Tasty Tuesday! Your recipe has been pinned to the Tasty Tuesday Pinterest board! Please join us again this week! It's been a very delicious year! Your post received the most clicks this week, over at Simple Supper Tuesday. We hope you can join us again, starting Monday night at 8pm. All the best in 2015! I love seeing everyone's Top posts of the past year. I remember every one of these, Miz Helen! 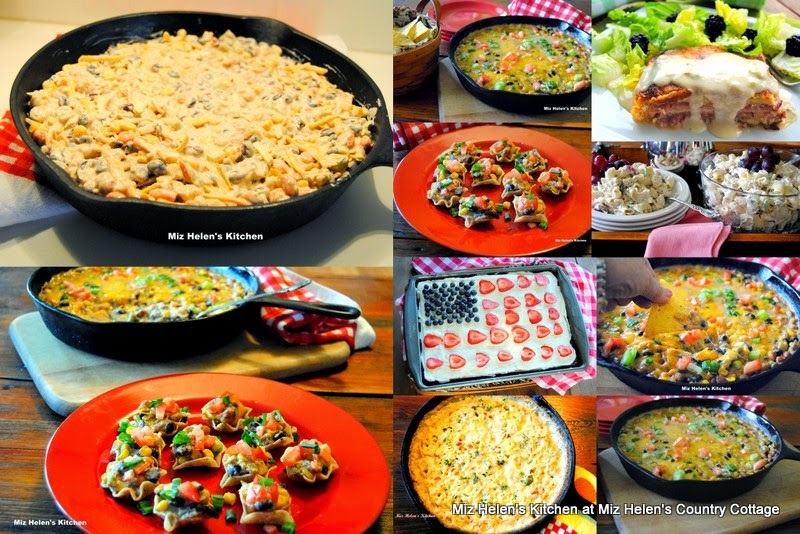 That is awesome collection of delicious recipe, thanks for sharing with Hearth and soul blog hop. pinning.